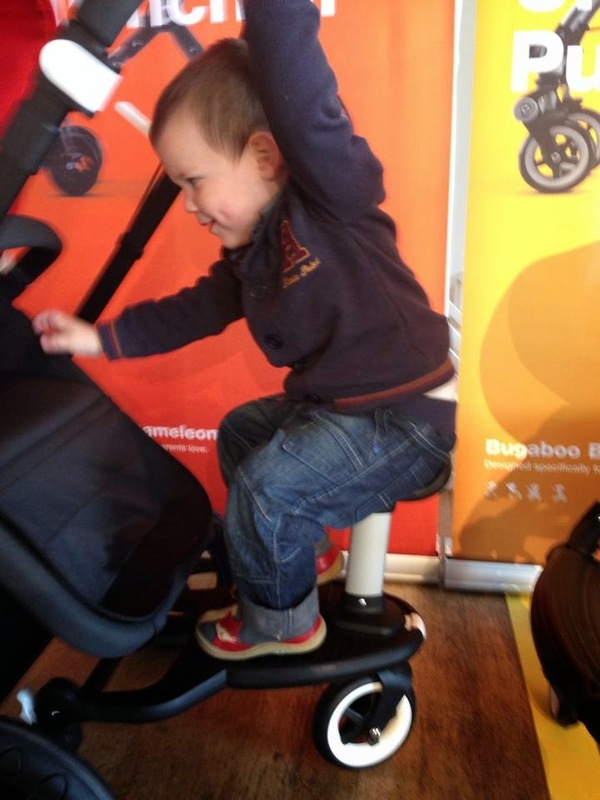 Mum of Five Staying Sane: Bugaboo Bee3 official launch party. 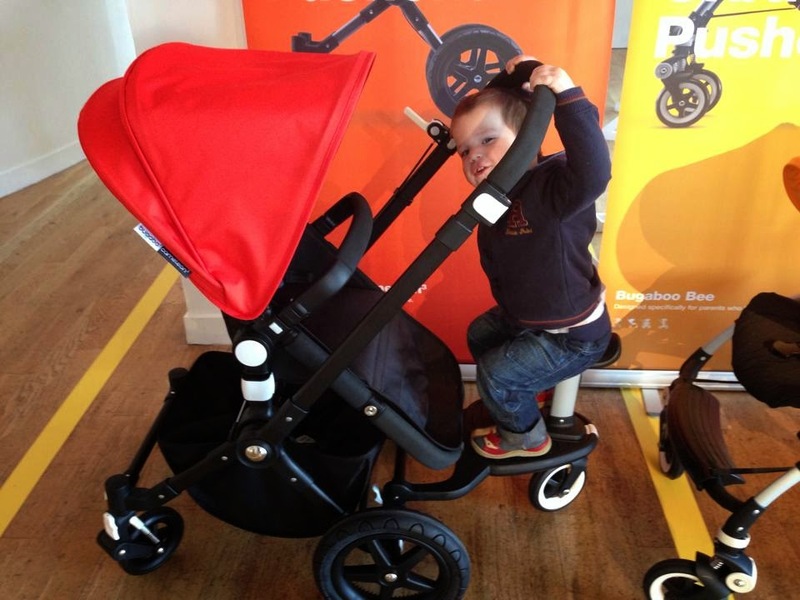 Lots of pictures of the Bee3 including a Thing 5 test drive & the new Bugaboo seated buggy board. 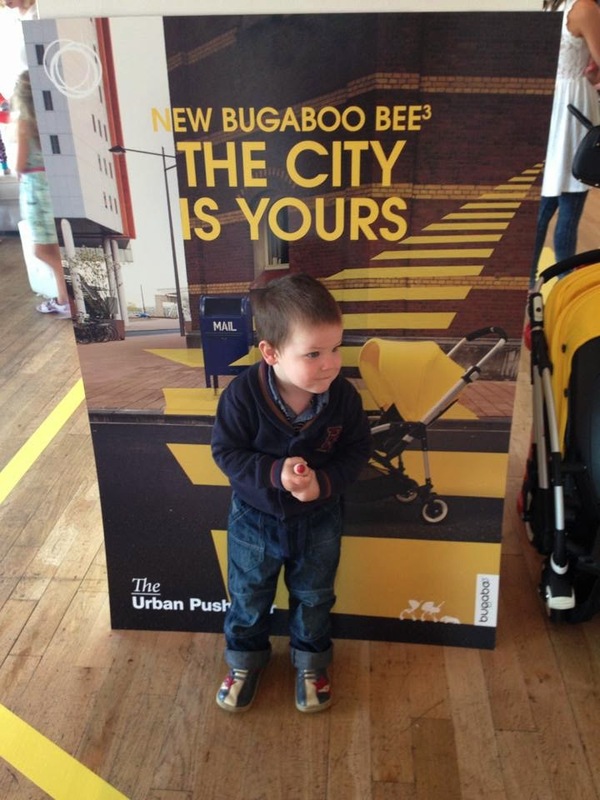 Also now available the Bugaboo Bee3 'Create a Stroller' configurator & Bee in the City short film. Bugaboo Bee3 official launch party. 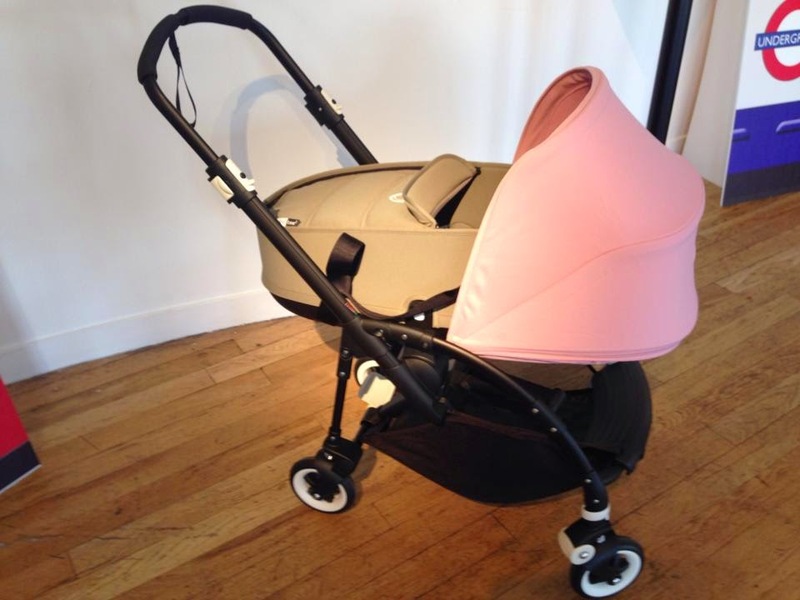 Lots of pictures of the Bee3 including a Thing 5 test drive & the new Bugaboo seated buggy board. 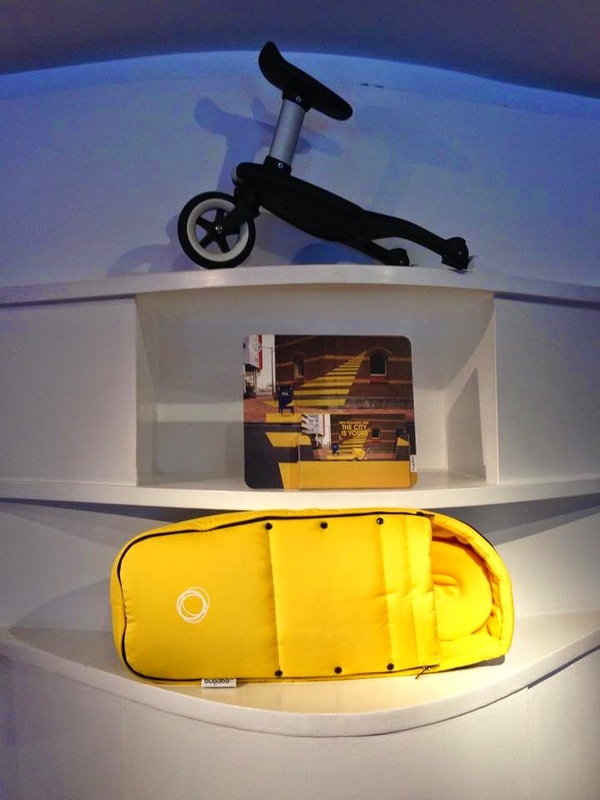 Also now available the Bugaboo Bee3 'Create a Stroller' configurator & Bee in the City short film. 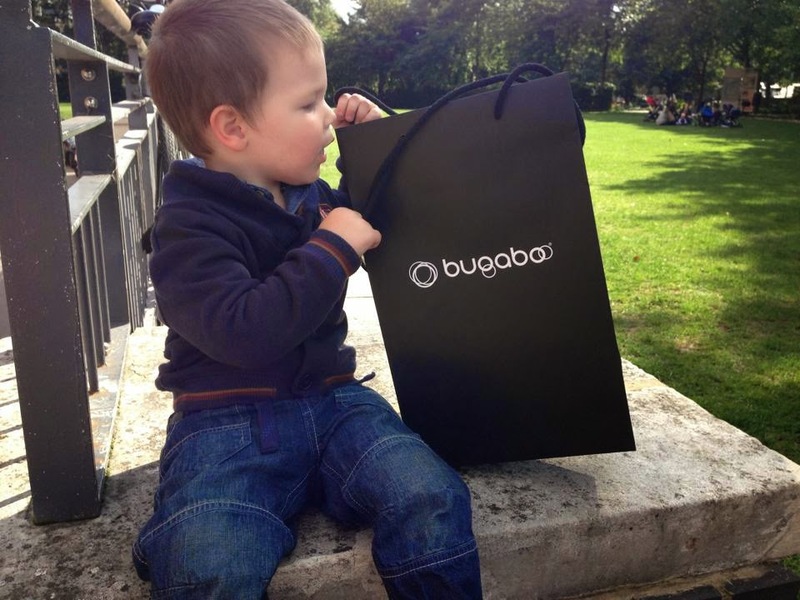 On Tuesday we were invited to the OXO Tower in London for the official Bugaboo Bee3 launch party event. 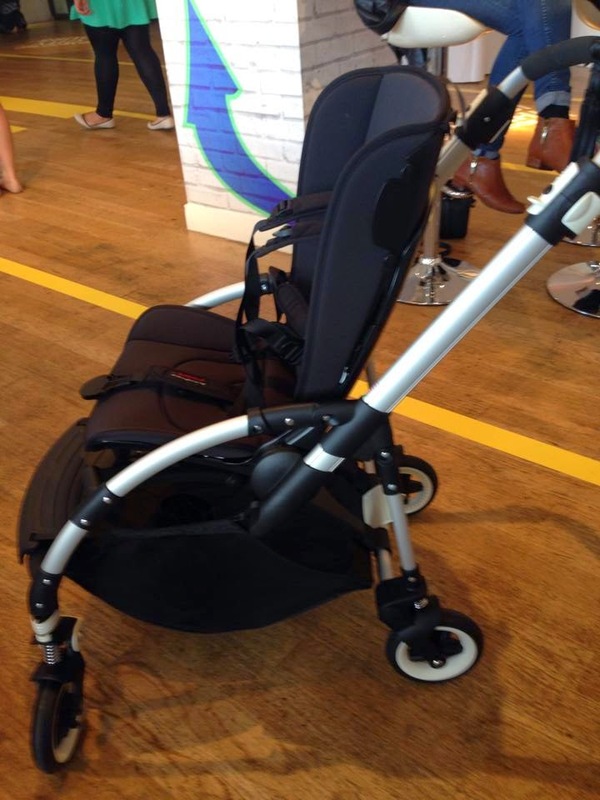 I was very excited to get this invite and couldn't wait to go and try out the Bugaboo Bee3 and to really check out the changes that had been made compared to the Bee Plus. 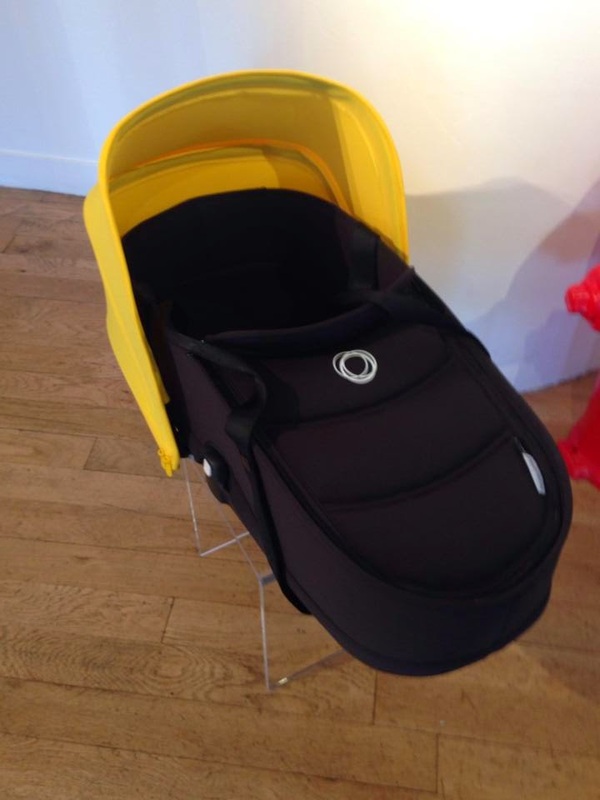 There were lots of Bee3 models in the room to take for a test drive all set up in different colour combinations and some with the new Bee3 carrycot on too. 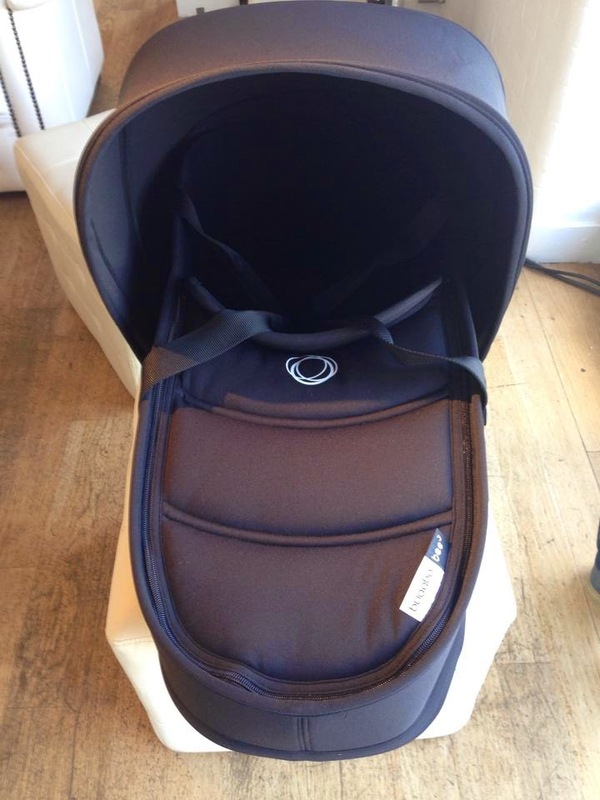 I was actually surprised and impressed at the size of the carrycot. Having seen pictures of it on the internet I will admit that I didn't think it looked very big but it's actually a decent size carrycot for a compact pushchair. 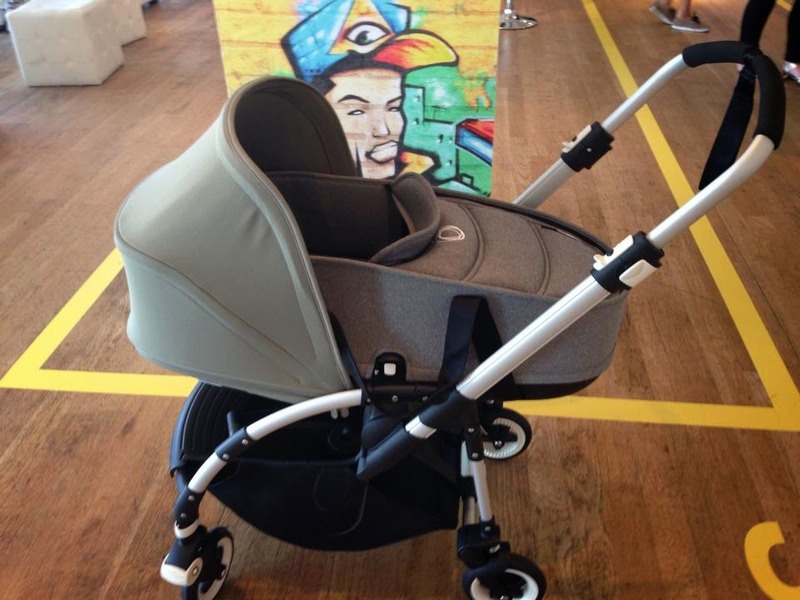 It's also quite a solid carrycot which can be removed from the chassis with baby inside still and is quite easy to sit on your lap if you were travelling on public transport and hold close to you. 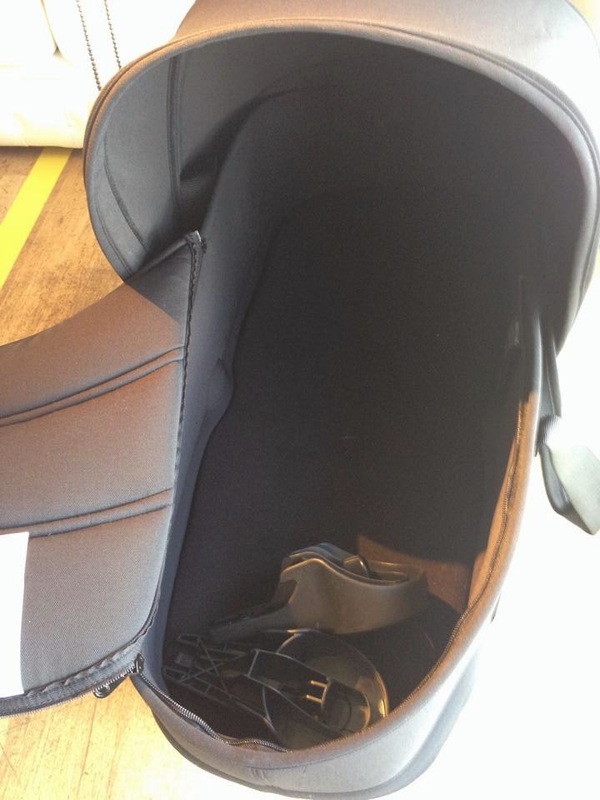 The fabrics are lovely and soft and it uses the hood that would then go onto the seat unit too. 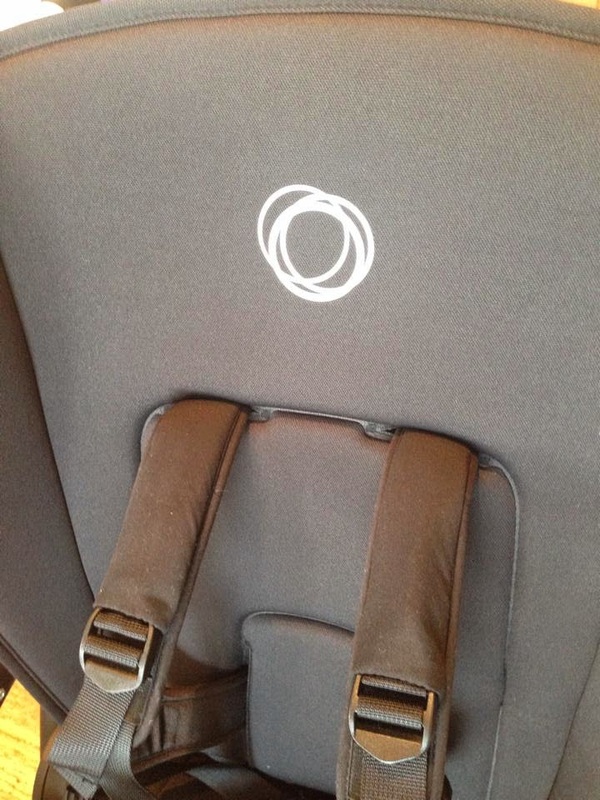 The carrycot has two adaptors which clip easily on and off to allow the carrycot to be attached to the chassis. 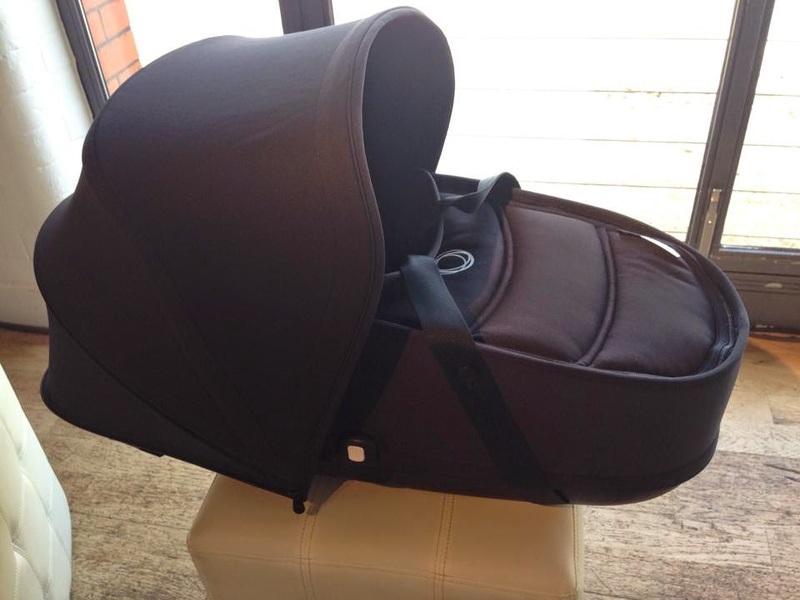 Lots of pictures of the carrycot both freestanding and on a chassis. A few various colour combinations too. I was given a full demonstration of the Bee3 on arrival and then I took one for a test drive around the room. 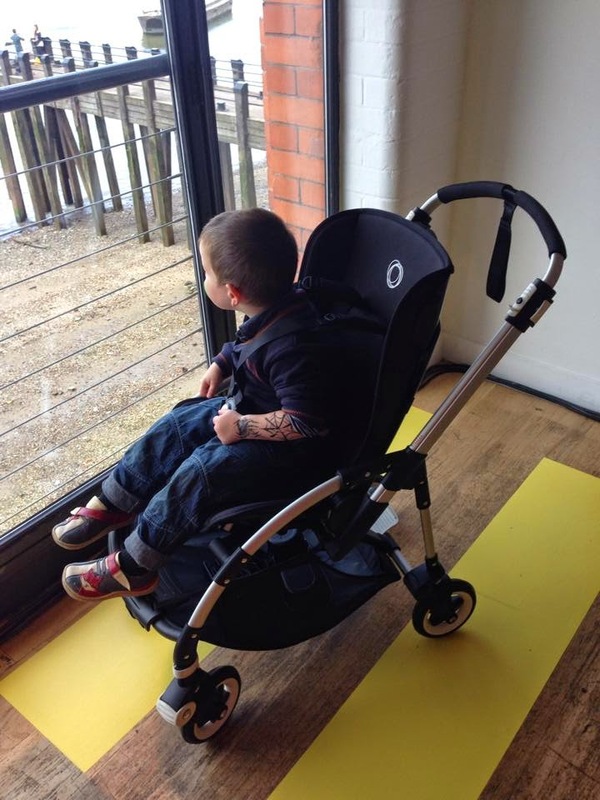 It feels a lot sturdier than a Bee Plus, one of the improvements Bugaboo do claim to have made with the Bee3. I could really feel it though especially with a chunky toddler in the pushchair too. It was still really easy to push and glided along the floor. The Bee3 in forward facing mode with Thing 5, aged 2 years. I hadn't adjusted the seat height so this was on the lowest setting and could have done with being adjusted higher. The Bee3 also pictured next to a Bee Plus. The chassis is now available in either the aluminium or black chassis option when you purchase. It has been made more sturdy, the basket has been made slightly bigger and the shimmying wheels issue from the previous Bee Plus model has been resolved. The new seat harness on the Bee3 is a huge improvement too. 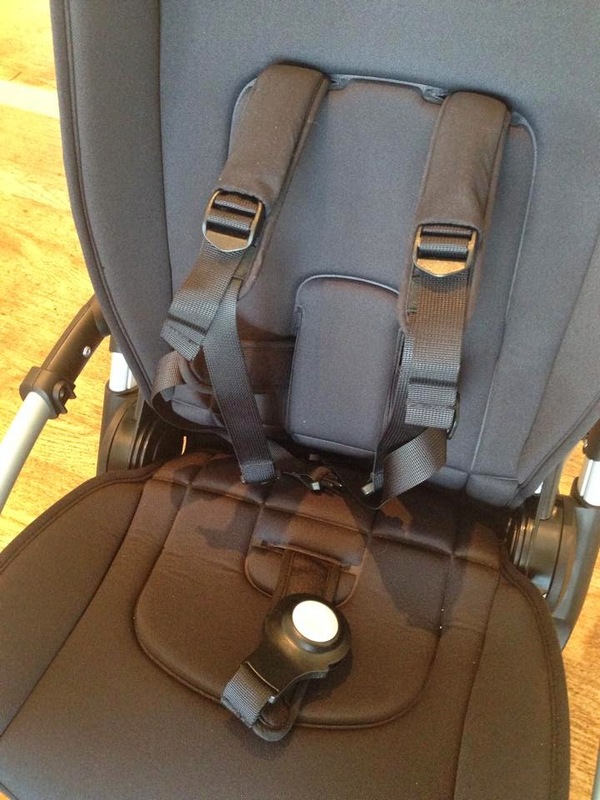 It's much more easier to use, stays more prominent in the seat rather than with the old harness on the Bee Plus I used to find bunched up in the crease of the seat unit and you struggle to find it whilst getting a child in at the same time! It's still a five point harness but each part unclips from the main harness point so you have lose shoulder straps and waist straps if you want to that then all clip back into then crotch strap. The new harness is a huge improvement on the Bee Plus harness. The fabrics are a newer softer material. 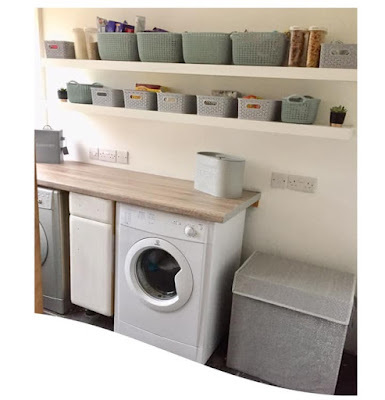 The seat has a kind of memory foam feel to the back support and the fabric is a lovely stretchy type material which is breathable and durable yet comfortable at the same time. 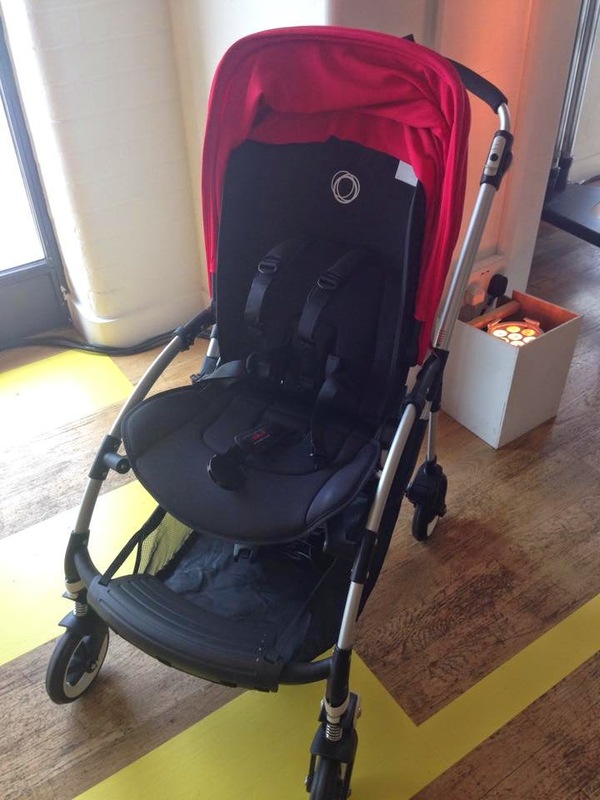 The seat is available in four colours black, khaki, red and grey melange. The hood is also in the newer stretchy fabric and is also now extendable like the newer hoods on the Cam, Buffalo etc.... this gives more coverage on the seat and carrycot and is a good improvement to the hood. 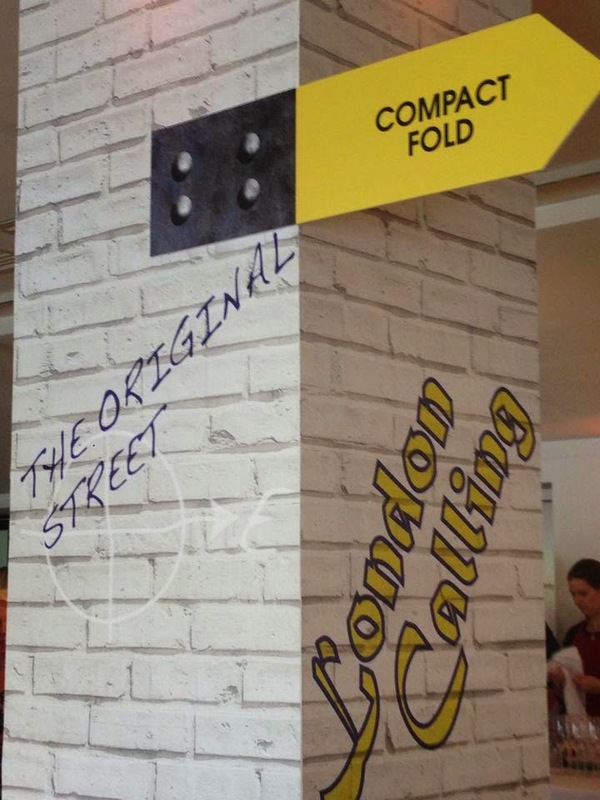 The hood is available in eight colours; black, red, yellow, khaki, off white, soft pink, ice blue and grey melange. 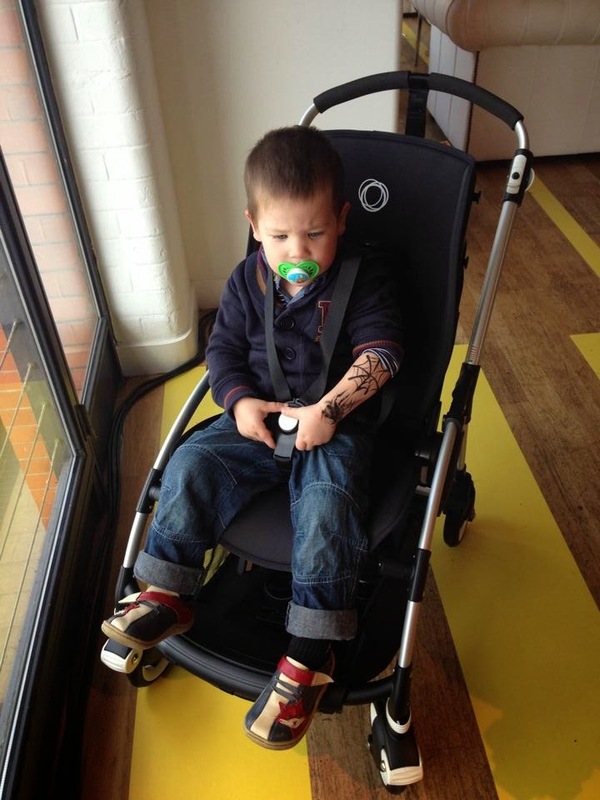 Also available to try out was the new Bugaboo wheeled board with seat attachment. 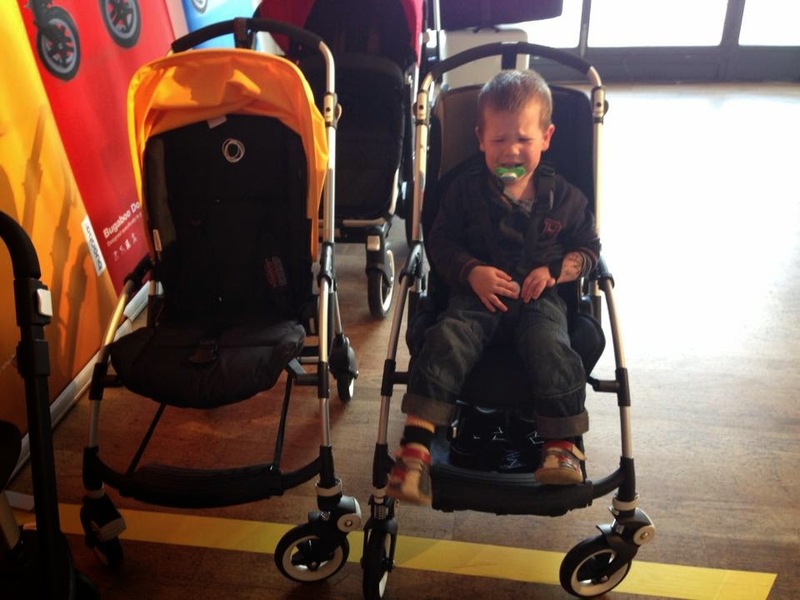 I had the wheeled back when Thing 4 had just turned 3 and I had a newborn in the Bee Plus. It was fab and he used it well but the seat would have been fab had they had it back then it would definitely have been purchased. Thing 5, aged 2, tried it out attached to the back of a Cameleon and he loved it. The OH wheeled him around the room on it and he wouldn't get off. It's a great product if you still want to use a single pushchair instead of buying a double for a new baby and a toddler. It means they don't have to stand for long periods of time on a wheeled board although they still have that option to if they want to. If I needed it I would buy it, the addition of the seat really is a fab feature to the new wheeled board. The RRP on this is £99.95 and is available from November 2014. Trying out the new wheeled board with seat attachment, this was a huge hit and both the OH and Thing 5 were impressed with this new product. There is also the new Bugaboo Bee3 'Bee in the City' short film to watch here, see the Bee3 being put through it's paces through the city of London in both carrycot and seat unit mode. This place has great views and great party planner. My daughter celebrated her birthday here and all our guests said that this is the most amazing event they've ever been too. 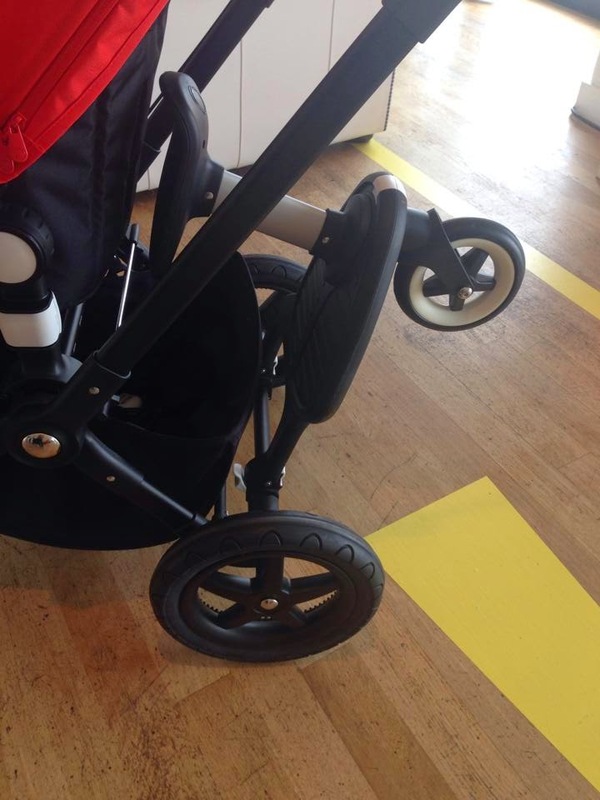 Was the wheeled board seat a Bugaboo brand accessory or was it made by Twoo?